The U.S. obesity epidemic continues to worsen: The latest reports show that 40 percent of U.S. women are obese, and American teenagers are also continuing to put on weight. Overall, 38 percent of U.S. adults are obese and 17 percent of teenagers are, the two reports find. That’s obese — medically defined as having a body mass index (BMI), a measure of height to weight, that’s more than 30. Another third or so of Americans are overweight. People are considered overweight when their BMI hits 25, and they are obese when it gets to 30. "Those with education beyond high school were significantly less likely to be obese." People who are obese have higher rates of heart disease, diabetes, some cancers, arthritis and Alzheimer's disease. The teams at CDC’s National Center for Health Statistics looked at national survey of more than 5,400 adults for their first study. “The age-adjusted prevalence of obesity in 2013-2014 was 35 percent among men and 40.4 percent among women,” they wrote in their report, published in the Journal of the American Medical Association. More than 5 percent of men and nearly 10 percent of women were morbidly obese, with a BMI of 40 or more. They’re at much higher risk of related diseases. The team noted they measured just BMI and not body fat, but most obese Americans have too much fat. Men who smoked were thinner, the team found. “For women, there were no significant differences by smoking status, but those with education beyond high school were significantly less likely to be obese,” they wrote. It’s not clear why obesity continues to worsen, despite many studies trying to put a finger on it. “Numerous foundations, industries, professional societies, and governmental agencies have provided hundreds of millions of dollars in funding to support basic science research in obesity, clinical trials and observational studies, development of new drugs and devices, and hospital and community programs to help stem the tide of the obesity epidemic,” the journal’s editors, Dr. Jody Zylke and Dr. Howard Bauchner, wrote in a commentary. “The obesity epidemic in the United States is now 3 decades old, and huge investments have been made in research, clinical care, and development of various programs to counteract obesity. However, few data suggest the epidemic is diminishing,” they added. “The obesity epidemic in the United States is now 3 decades old." Other studies suggest the epidemic will only worsen. The Trust for America’s Health projects that 44 percent of Americans will be obese by 2030, while the Centers for Disease Control and Prevention it projects 42 percent of adults will be. And the effects extend far beyond disease. 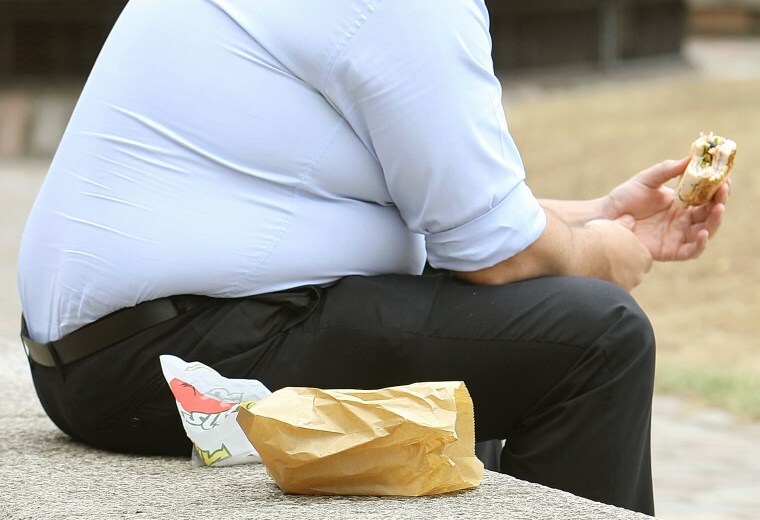 A study by Gallup and Healthways shows that obese adults are 29 percent more likely to say they lack purpose in life and nearly 34 percent more likely to suffer financially than non-obese adults.